The date is set and we have a location! 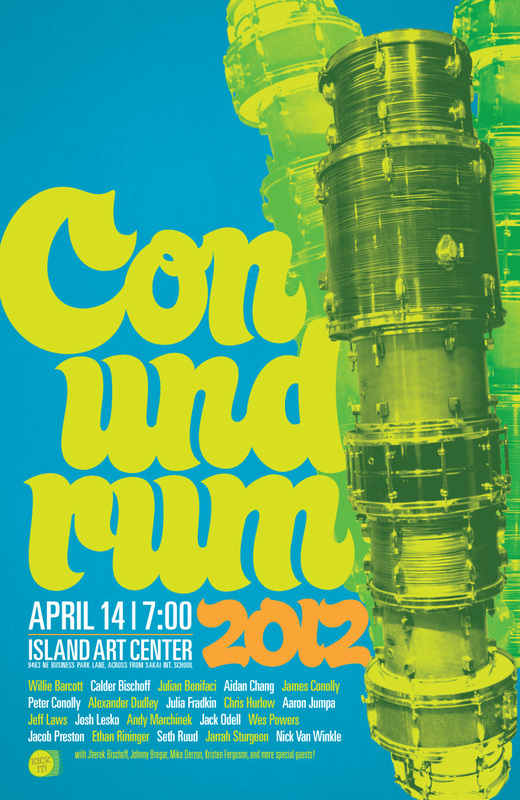 Join us April 14th at 7pm for Conundrum 2012! NEW VENUE: Island Art Center (Mills Flooring Building) across from Sakai Intermediate School. and a star-studded lineup of backing musicians! Also new: There will also be a suggested donation of $5. Students and their parents/siblings do not need to pay. Grandparents, neighbors and friends should if they can.